The Maboroshi island is between Ishigaki island and Kohama island. This island is called with this name because the shape of the island changes due to the change of the tide level. Because the water depth is shallow near the island, the color of the sea becomes emerald green. 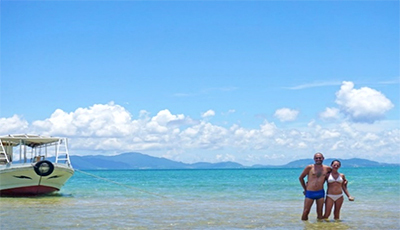 The contrast between white sand beach, emerald green sea and blue sky is the most beautiful place! Iriomote-Ishigaki National Park encompasses, of the Yaeyama Islands at the southernmost tip of the Ryukyu Islands(Okinawa ken), Iriomote Island; Ishigaki Island; the Sekisei coral reefs located between those two islands, and the other islands among the reefs; Taketomi Island;Kohama Island;and Hatoma Island and its environs. The home to the Sekisei coral reefs(Sekisei ragoon), Japan’s largest coral reefs, along with many other natural environs. We have been doing marine leisure work for over 35 years.We are all knowing the seas such as Ishigaki island and Kohama island.Since we have been active for many years, we also know a lot of snorkelling sites and know secret places. On our tour, everyone can enjoy it from children to grandfathers and grandmothers! 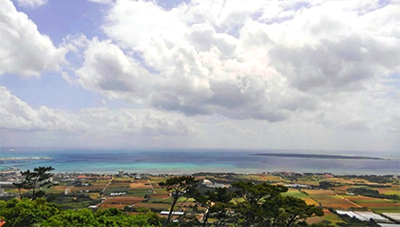 This island in "the center of Yaeyama" is located 15 km west of Ishigakijima. 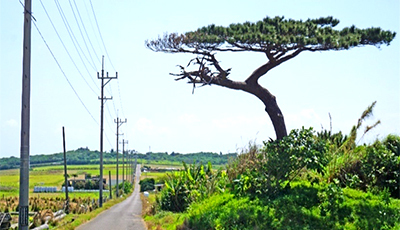 There are about 600 islanders, sugar cane fields spread all over the island, cattle and sheep inhabit. The scenery from Ukudaki (altitude 99 m) is a superb view. There are 2 resort hotels on the island, as well as inns and taverns. 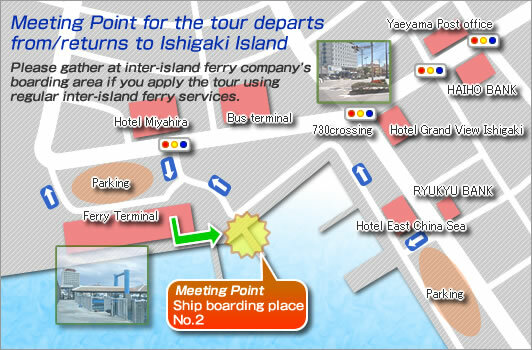 Access to the island is about 30 minutes by ferry from Ishigaki Island. 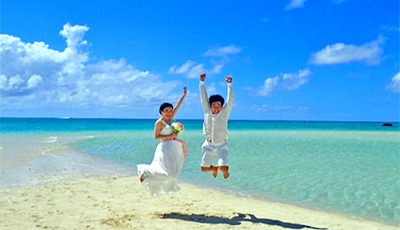 The prefecture located in the southernmost tip of Japan is Okinawa Prefecture, and the Yaeyama Islands are located in the south of Okinawa Prefecture. Ishigakijima is the island with the only international airport in the Yaeyama Islands, and it is the base where the ferry departs to other islands. The population is about 50,000 people, and because of Yaeyama's economic center, there are hotels, supermarkets, etc. Climate is the southernmost point in Japan, both temperature and salt water temperature is the warmest place in Japan and subtropical climate. Ishigaki-1AMorPM Half Day Tour Snorkel 1site & Maboroshi Is. 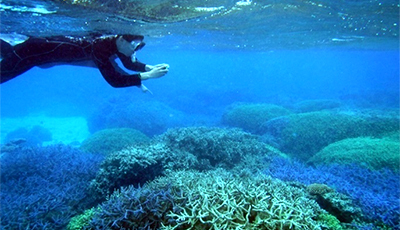 It is a snorkeling tour to explore Sekisei Coral Reefs in half a day. 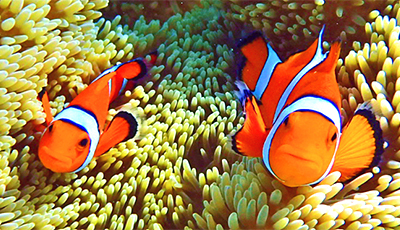 You can experience the snorkeling to meet in Maboroshi island and colorful fish to watch the spectacular views. 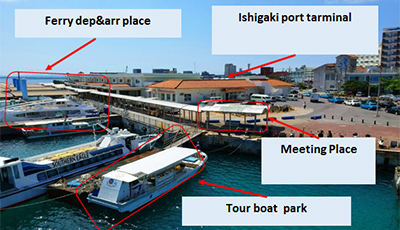 Access is good from the Ishigaki port in the city center for easy access and it is easy to incorporate into the sightseeing plan. Ishigaki-2 Full Day Tour Snorkel 2site & Maboroshi Is. 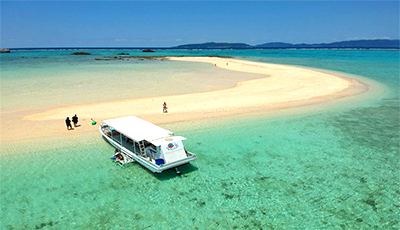 Take a journey of Sekisei Coral Reef in a day fille with snorkeling and sand bar.Visit Maboroshi island beach where you can walk along moon form sandbar.We go to snorkeling two site another. 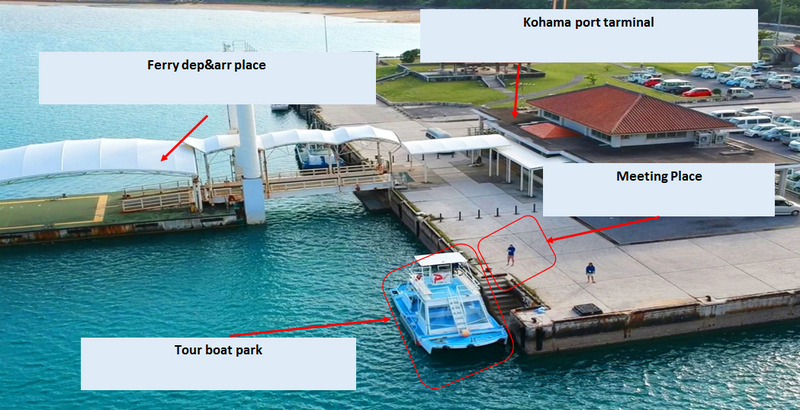 ※ From Kohama Island to Ishigaki Island, everyone will be returning by ferry. ※Please come to the meeting place 10 minutes before departure. ※The end time will be around by the sea condition etc. 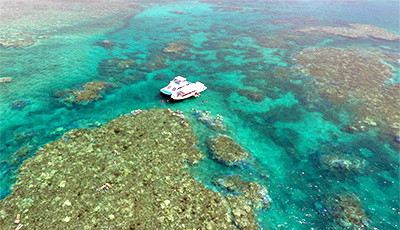 It is a snorkeling tour that takes a departure from Kohama Island and strolls Sekisei Coral Reefs in half a day. 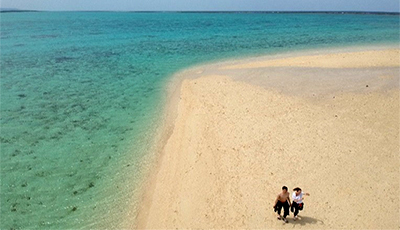 You can experience snorkeling where you can meet colorful fish and Maboroshi island of superb view. Snorkeling experience in the ocean around nature-rich Kohama Island allows you to enjoy different landscapes from Ishigaki Island. Sekisei It is a journey to experience snorkeling enjoying different topography and fish at two sites of coral reef and a superb view on Maboroshi Island. Because it is a one day tour, you can enjoy a relaxing boat tour with plenty of time. It is a tour for those who like snorkeling. 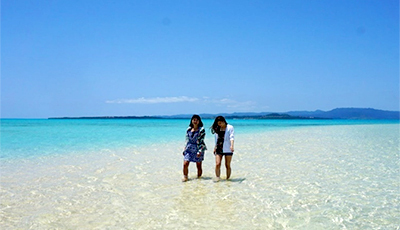 Departing and departing from the island of Kohama, I will go around two snorkelling sites in the surrounding islands. We will pick up sites such as Iriomote Is, Kuro Is, Takeoni Is, Panari Is, etc, which are fastboats and will not go on other tours. The captain chooses the place to go in the condition of the day. Couples, friends, families, employees can use the ship for rental purposes. If you tell the captain where you want to go and the desire, you can operate freely. Time schedule can be freely assembled. 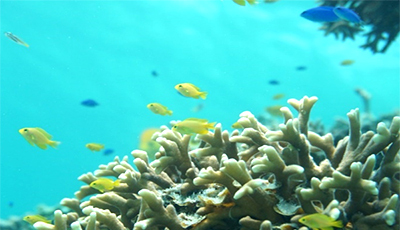 Areas where corals live, deep water features distinctive areas, beautiful beaches, etc. Couples, friends, families, employees can use the ship for rental purposes. If you tell the captain where you want to go and the desire, you can operate freely. Time schedule can be freely assembled. Areas where corals live, deep water features distinctive areas, beautiful beaches, etc. You can rent a ship for photography, TV shooting etc. We can also cooperate for various promotional shoots. Please feel free to consult us. We need to bring various shooting equipment etc. ・A minimum of two people are required for the all tour to run. ・The running period for each tour is different. ・Tours, routs, and running time may be changed due to weather conditions. ・You are responsible for your own safety and time management during your free time on the tour, and while taking the inter-island ferries. ・ Alcoholic beverages, and drinking prior to or on the tour are not permitted. 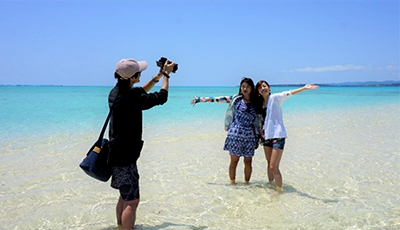 ・ Please wear a swimsuit (before leaving your Hotel), water shoes (shoes will get wet), and bring towels and dried clothes to change because you cannnot go ferry terminal of Kohama port while wet or ride on the ferry to the Ishigaki port too . ※Japanese or simple English only available on the phone.Please e-mail for detailed questions and so on. 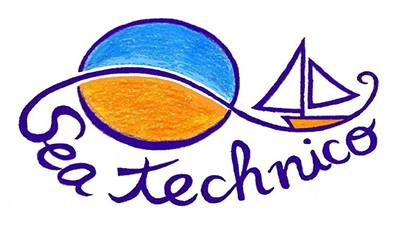 Copyright(c) Sea Technico All Rights Reserved.